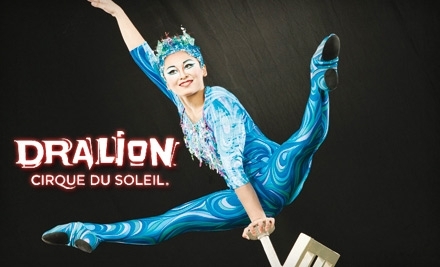 2013 saw us pick up one of the most prestigious catering contracts in the industry, the European tour for Cirque du Soleil which got our production team and chefs packing our road-cases and off touring arenas all over Europe with both Dralion and Quidam. 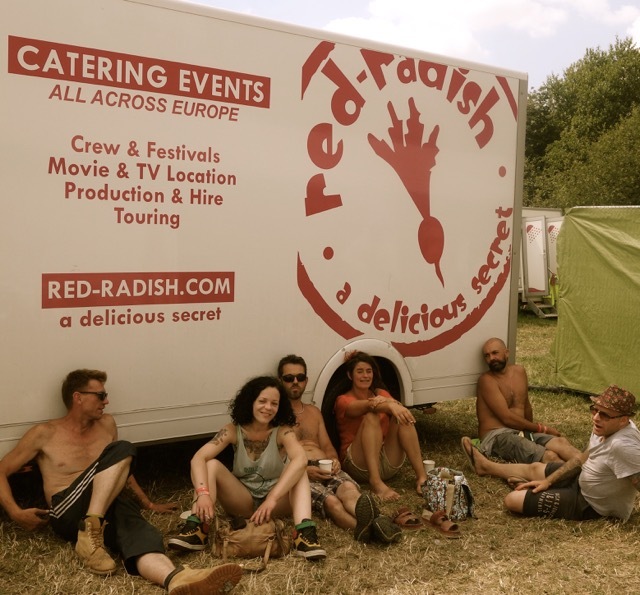 And just when we thought it couldn’t get any better, in early 2014 Red Radish picked up the backstage crew and artist catering contracts for the super cool Mama and Co festivals, Lovebox, Global Gathering, Somersault and the award winning Wilderness in Oxfordshire. So imagine how chuffed we all were when we found out that we had been nominated for a TPi award for Favourite International Tour Caterer. All the big names were on the list of nominees including Eat to the Beat, Global Infusion Group, Eat Your Hearts Out and even the Cirque du Soleil North American caterer Spectrum. It was a great surprise and the perfect end to a wonderful year of work with exciting new clients and our old favourites Shangri-La and The Common at Glastonbury, plus of course Hampton Court Palace, Electric Picnic and Carfest to name but a few. 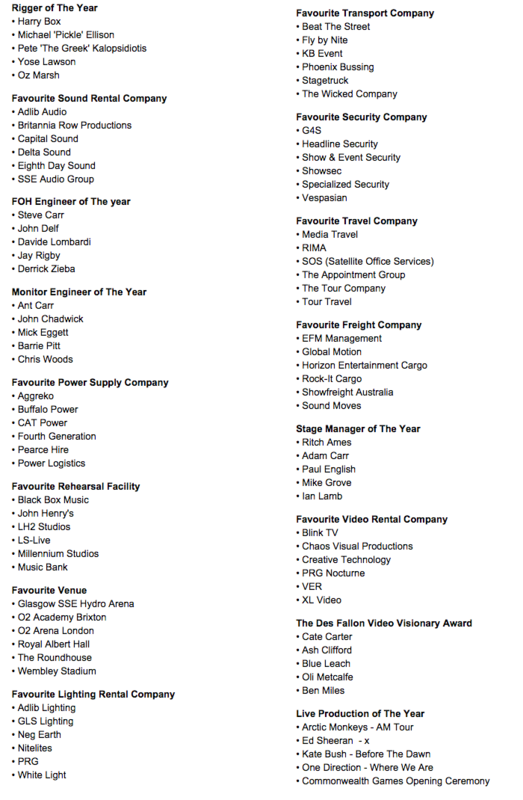 Things could not seemingly get any better and then… we found out that we had been voted on to the renowned TPi awards SHORTLIST alongside established industry FAVOURITES like Aggreko, Popcorn Catering, Gallowglass and Rock-It Cargo, plus world famous artists including Ed Sheeran and One Direction. How lucky are we!!! We have to admit that (maybe because of our age!) 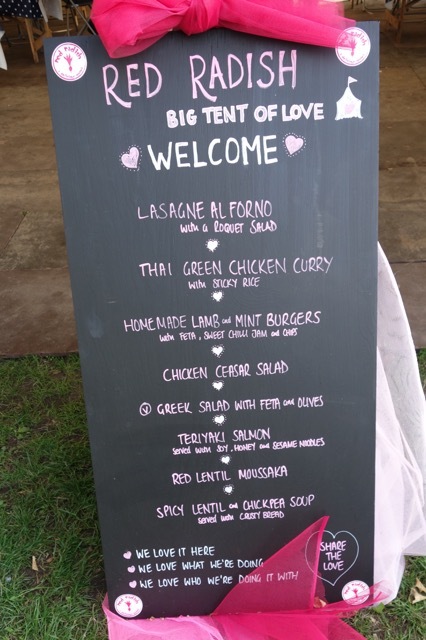 The Wilderness Festival at Cornbury Park in Oxfordshire was quite possibly the 2014 crew-catering gig that we were looking forward to the most. Production catering at Glastonbury’s Shangri-La plus Lovebox, Global Gathering, and about a dozen others had been great, but there is only so much bass our ears can take these days and to be on location in such a tranquil setting was a real treat. Wilderness had been billed as bit of a Poshstock for food lovers and whilst we are definitely not posh we are generally always prepared to walk over hot-coals for a good bit of grub! That coupled with some great grown-up music meant it was definitely one for us and it certainly did not disappoint on any level. 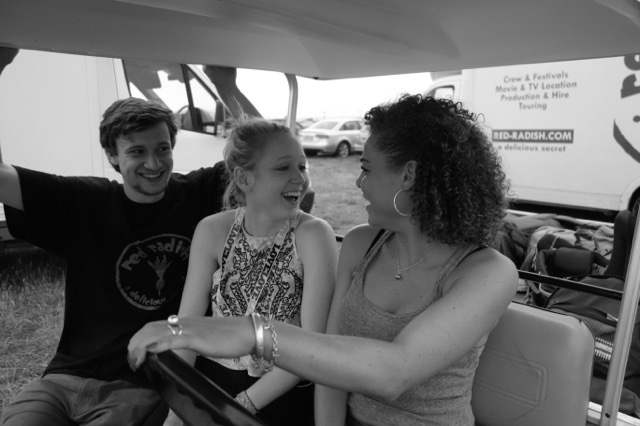 It was our last festival of new series of four from new supplier Mama and Co and we were determined to go out with a bang after the success of Lovebox, Global Gathering and newbie festival Somersault down in Devon. Mama had been great to work with, so to end up in such a beautiful setting catering for the likes of stars such as Gregory Porter and Burt Baccarat (photographed below with Lucy Brown) made it a bit of a dream job. Over the years we have been lucky enough to cook for a huge list celebs across a massive spectrum of legends including the likes of Sir Cliff Richard, The Beach Boys and Liza Minnelli through to Hollywood superstars including Nicole Kidman, Colin Firth and Robert Redford, and then more current heroes like Nas and David Guetta. In fact, you would never quite believe what we have seen on some of our more demanding artistic dressing room riders but being at Wilderness was definitely one of our special memories of a wonderful summer and one that we can’t wait to repeat in 2015! The First Crew Catering Company to survive Shangri-La! 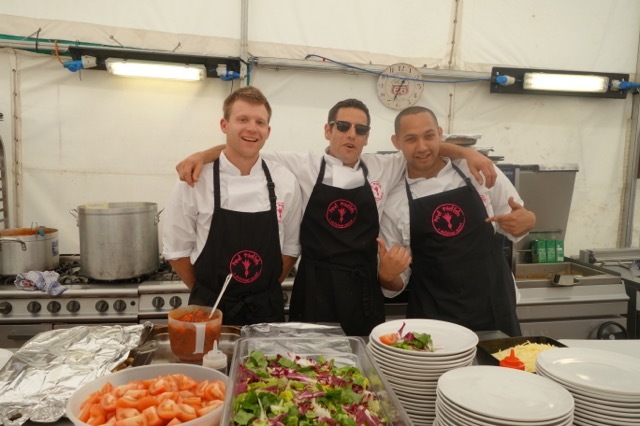 After just two years crew and artist catering at Glastonbury the crew and chefs of Red Radish are proud to say that we feel like part of the Shangri-La furniture and can’t wait to get back for hat-trick of festivals in 2015. Here is what one of the key creators had to say about our catering and general performance…. Some would say that there are possibly easier places to cut your festival catering ‘teeth’ than Glastonbury’s infamous Shangri-La. In fact, no caterer has ever returned and many have literally sunk head-first into the infamous Somerset mud along the way. Robin Collings from Shangri-La first contacted us back in 2012 and explained how he had heard good things about Red Radish from the guys at Block9 who we had catered for on a couple of events on-off festivals. Robin explained how they were looking for crew and artist catering over a month long period. Numbers would be around 500 per service and they wanted a good Full-English breakfast option followed by some great lunch and dinner choices. Queues had to be kept to a minimum and the food needed to be hearty and substantial as their production team worked incredibly hard, especially during the build and the break. Red Radish needed to supply a complete field-kitchen including everything from the ovens through to the knives and forks and even the kitchen-sink(s)! They were obviously worried after the problems they had suffered with catering companies in the past, but our organised approach and excellent references gave them the confidence to award us the gig for 2013 and guess what?…….. We went back in 2014 as well. 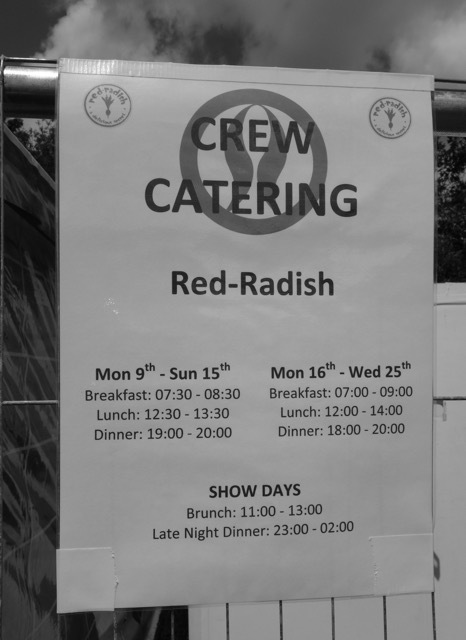 In Debs Armstrong’s very own words Red Radish were the first crew catering company EVER to not break on site! It was June 4th 2013 and we had literally just arrived in Glastonbury Festival to start setting up our mobile kitchens for a very busy crazy month long crew catering contract for the iconic Shangri-La. Obviously ‘unusual’ things are an everyday occurrence at Glasto (and particularly Shangri-La!) but it was more than a little dreamy when the mobile rang and we were greeted by a French-Canadian voice asking if Red Radish were interested in tendering for some tour catering work with the world famous Cirque du Soleil. Yes, the world’s biggest circus had checked us out and was asking us to give them a proposal for a quick three-weeks of catering for an approaching DRALION tour leg in France! We were unbelievably proud to say the least! The French venues were stadiums in Nice, Amneville and Nantes and the start date for the catering was to be just a few days after we finished at Glastonbury. We had first seen the Cirque du Soleil at Battersea Power Station in London absolutely eons ago; we think it was probably Alegria but can’t be sure, as it was that far in the past! What we do remember however was the sheer size of the production and also the incredible and unbelievable talent of the performers involved. It was a breathtaking organisation and the thought of working with them was just incredible. We knew it would certainly be our most challenging project to date and that their current caterer, Eat to the Beat’ were almost certainly one of the most established tour catering companies in the industry. We were determined to give it our best shot and grab the opportunity with both hands, even if the tour was only were going to be feeding their production team and artists for a quick three-week experience, AND grab it by hands we certainly did! The initial very short tour went so well that it turned into a long-term contract and Red Radish are still on the road with Cirque du Soleil some eighteen months later! 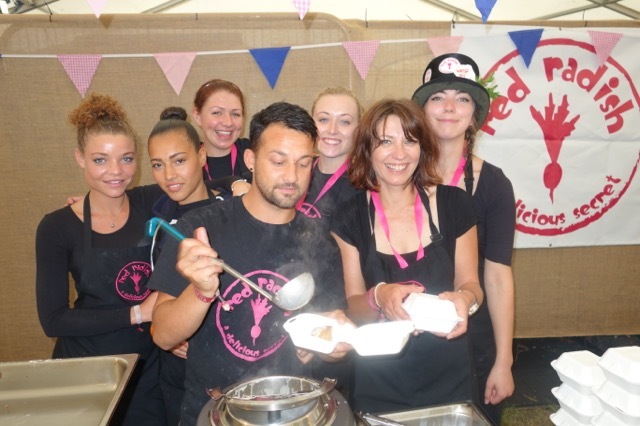 Early 2014 saw an enquiry from the prestigious festival organiser Mama and Co who were looking at the possibility moving their current crew and artist catering away from established tour caterer Eatopia. Mama are one of the biggest names in the business with years of event industry experience and a host of big name festivals under their belt it was an exciting email to say the least. Our initial discussions focused on Wilderness, Lovebox, Global Gathering and a brand new and exciting Devon festival called Somersault. At the time of the enquiry Red Radish were living the dream providing the crew and production food for the world famous Cirque du Soleil at London’s Royal Albert Hall. After initial emails and costs, a tasting was arranged at this iconic venue. The production team from Mama had initially suggested that they wanted to try us out on one or two of their gigs first and that they would be nervous giving us all four festivals at once, but our food and our approach must have been spot on because a month or so later Red Radish were confirmed on all four festivals, including Somersault and Lovebox which ran at the same time. How’s that for confidence! Almost definitely one of our most sedate crew and guest catering events, but certainly one of the biggest and most challenging productions took us down to Sussex and Focus 2014, a Christian festival organised by Holy Trinity Brompton in London. The production was enormous and with over 20,000 meals to cook in less than seven days, our team of chefs managed to keep smiling even though they certainly had their work cut out. 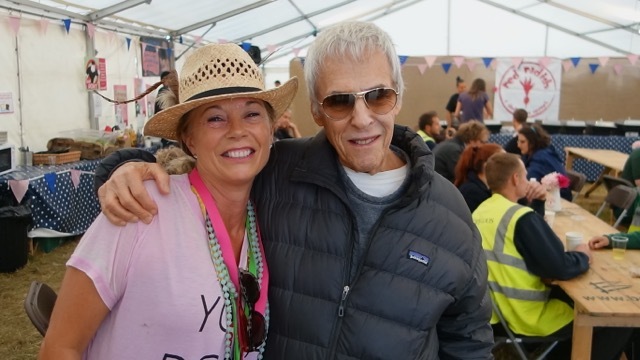 The event was spread over the sprawling UK holiday park Pontins and saw Red Radish cooking up our delicious, freshly cooked food across three different marquees plus a VIP area and all-day backstage, green-room for artists, senior ministers and the main-man himself, Holy Trinity Vicar Nicky Gumbel. There has been a huge increase in religious festivals over the last five years, although one of the biggest events, Greenbelt (an arts, faith and justice festival) has been going since 1974 and has organised an impressive 40 consecutive festivals without a break. It is certainly a growth market and one that we totally enjoyed being part of. It was a heavily scheduled festival with participants and speakers having very defined windows of time in which they could stop for their lunch or dinner, meaning timing was everything and the artists, crew and production really needed to be looked after. As well as the usual hot-food options, there were also BBQ’s and packed lunches which the Red Radish chefs and production crew worked buzzing all over the site in our buggies and working around the clock to have everything ready for the very early morning festival starts. Red Radish were absolutely delighted to find out that we have been nominated for an award recognising the production industries’ favourite catering company. 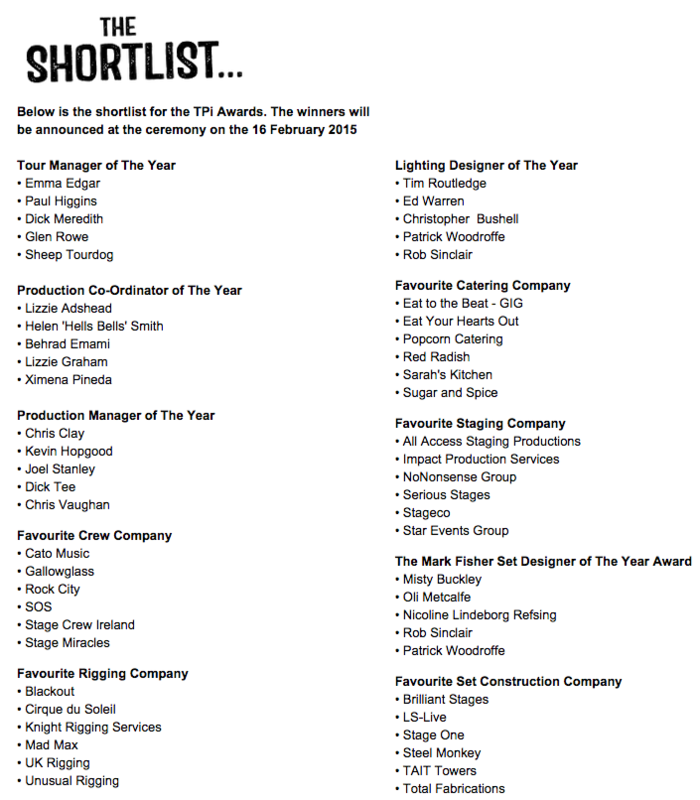 OK, at this point it might only be a TPi Awards nomination but to be included in a list alongside established touring catering companies such as Eat to the Beat, Eatopia and North American favourite Spectrum Catering is a great accolade in itself. It remains to be seen how the voting will go and if last year’s winner and well known tour caterer Popcorn will triumph again but whatever happens we are chuffed to be on that list. The Total Production Industry Magazine (TPi) Awards were set up in 2002 to recognise designers, engineers, companies and individuals who have made an impact in the world of concert touring. Obviously anyone who has ever worked on a tour will know just how important catering can be and how it can totally carry a hardworking team through. 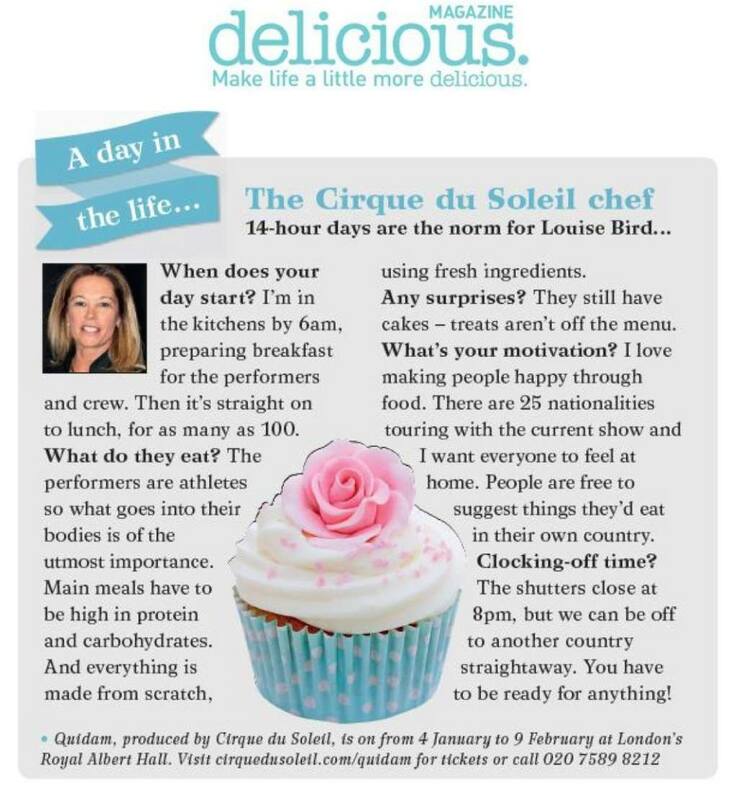 Just ask the Dralion and Quidam tours of Cirque du Soleil (also nominated in lots of categories) who Red Radish have been working with all over Europe since winning their super-prestigious catering contract last summer. 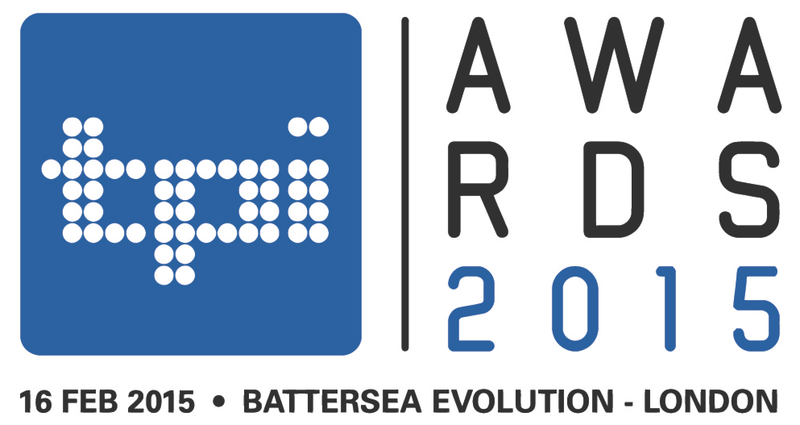 Now in its 14th consecutive year the TPi winners, (as voted for by the industry) will be held at Battersea Evolution in London on 16 February 2015 when over 1000 people from all corners of the live music business, the TPi Awards acknowledges and rewards the achievements of the most talented and successful individuals and service companies working within the industry. 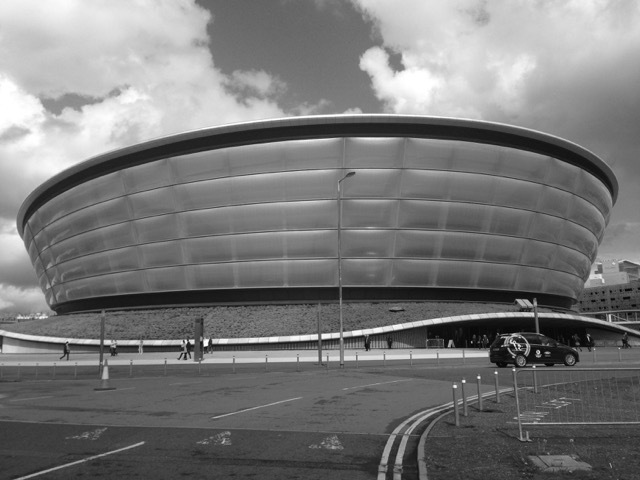 The SSE Hydro is almost definitely one of Scotland’s most iconic arenas and it’s location in Glasgow on the site of the Scottish Exhibition and Conference Centre made it a firm favourite on our 2014 schedule. The arena was officially opened by a Rod Stewart concert in 2013 with a capacity of 13,000, and has been home to prestigious events such as the MTV awards and the BBC Sports Personality of the Year and we were chuffed to be working there for a week on a recent tour. Over the last 18 months we have been lucky enough to provide tour artist and production catering across 25 countries and about 75 cities including Arenas in Amneville, Nice, Nantes, Athens Olympic Stadium, Rome, Turin, Milan, Geneva, Basel, Barcelona, Lisbon, Minsk, Herning, Wroclaw, Malmo, Glasgow, Sheffield, Birmingham, Dublin 02, London 02 and Royal Albert Hall, Manchester, San Sebastian, Santiago, Grenada, Las Palma, Bilbao, Palma, Graz, Vienna, Leipzig, Stuttgart, Innsbruck, Salzburg, Munich, Cologne, Frankfurt, Dortmund, Mannheim, Malaga, Zaragoza, Seville, La Coruna, Brussels, Toulouse, Strasbourg, Toulon, Montpellier, Lyon, Rouen, Berlin, Numburg, Hanover, Berlin 02, Hamburg, Luxembourg, Thessaloniki, Zurich, Rome, Bologna, Florence, Pesaro, Paris, Lille, Tenerife. The list continues to grow on a weekly basis but we will remember our time up at the SSE Hydro for a long time to come and cant wait to get back to Scotland soon. I wanted to drop you all a note to say a massive thank you to everyone who worked at the Electric Picnic Festival in Dublin this year. It was another big step on in terms of production value and event experience and everyone was on-it during the prep and on site. I have nothing but praise for the entire team to pull together a great show when tested by weather/press day schedule/budget! I have had a great response from the client to pass on his thanks to all concerned. I also wanted to drop you a note to say thanks for the great catering, it was a pleasure as normal. You have no idea how excited we all were that we were getting a proper dinner on the Thursday night, then for it to be pork belly what else do you need! Thanks so much for everything. You guys certainly got the whole team smiling. Also Capitalize managed to secure some media coverage, if you scroll down on this link I have asked Lou from Capitalize to name check you all, so thanks in an official format!